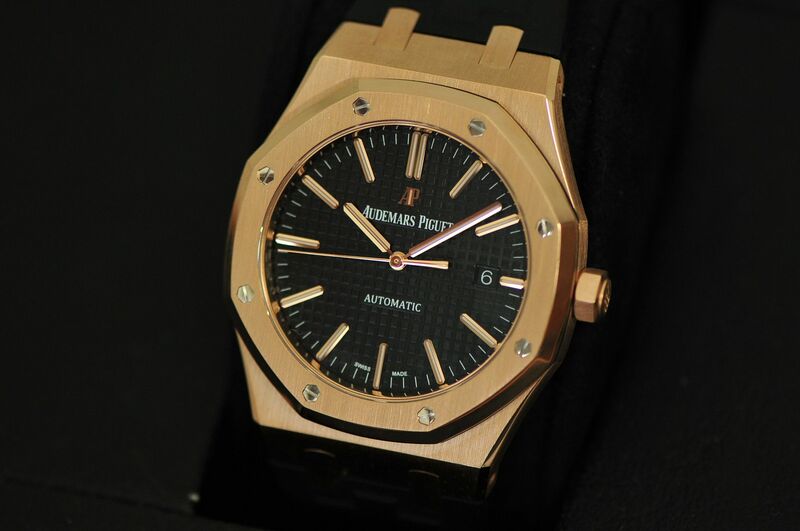 Up for your consideration is a LNIB AP Royal Oak Rose Gold Black Dial 41mm - Ref. 15400OR.OO.D002CR.01 This awesome piece is in perfect like new condition. The only slight sign of wear is on the OEM croc strap which is still in beautiful condition. It was originally purchased new from an AD and was worn just a couple of times. Warranty is dated 2017 and of course it still has plenty of factory warranty remaining. It is a full set and comes complete with everything as it should. Priced at $24,950.00 shipped and insured in the CONUS. Certain trades will be considered. More pictures as well as tons of worldwide references available upon request. Please email me directly or call me to discuss or with any questions or specific requests you may have. Thank you.